Ahhh Summer Time. One of the most delicious times of the year, full of grilled steaks and hot dogs and, of course, cheeseburgers. 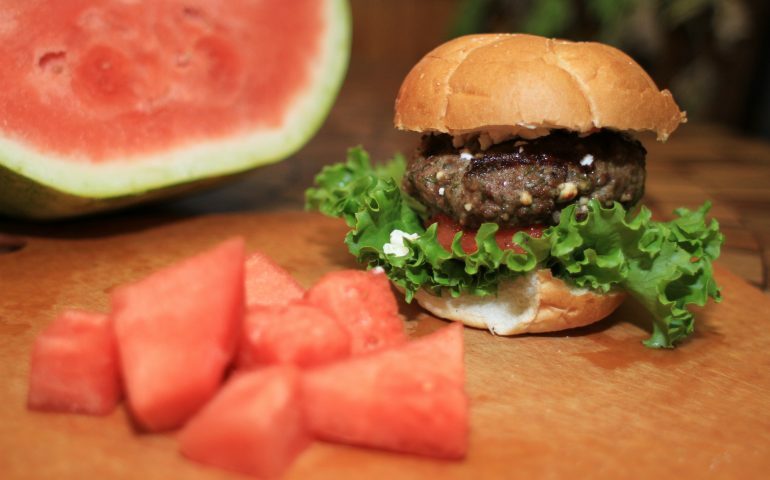 And what’s better than fruit and cheese and fresh herbs on a burger? So, if you’re following along, you’ll see that I skipped WAY ahead in the Bob’s Burgers Book. Hey, no one said that I had to go in order! Plus I happened to have a watermelon lying around, so why not. Up until now, the burgers have felt a bit traditional. We’ve all had bacon burgers and eggs on our burgers (hopefully, because if you haven’t, you’re missing out). I was pretty excited to attempt something I’d never done before. 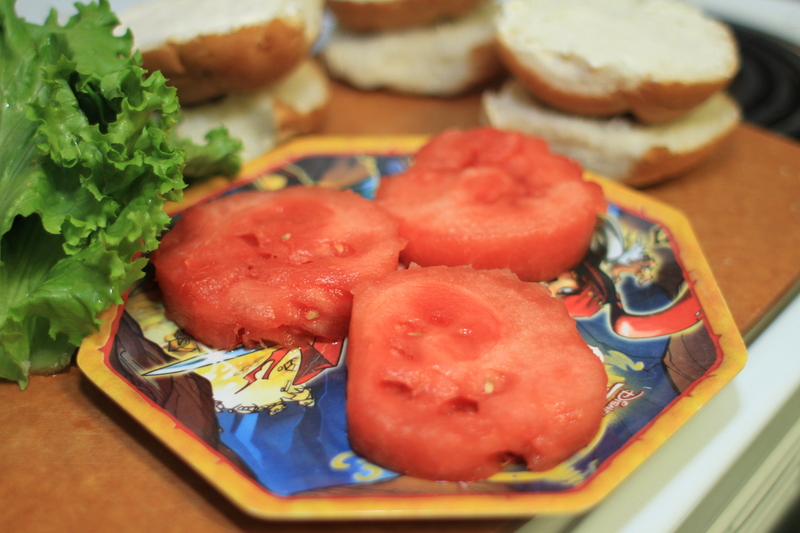 Not only was this my first time grilling fruit of any kind, something I’ve been dying to try, but it was my first time eating grilled watermelon on a burger! And boy, was it extraordinary! 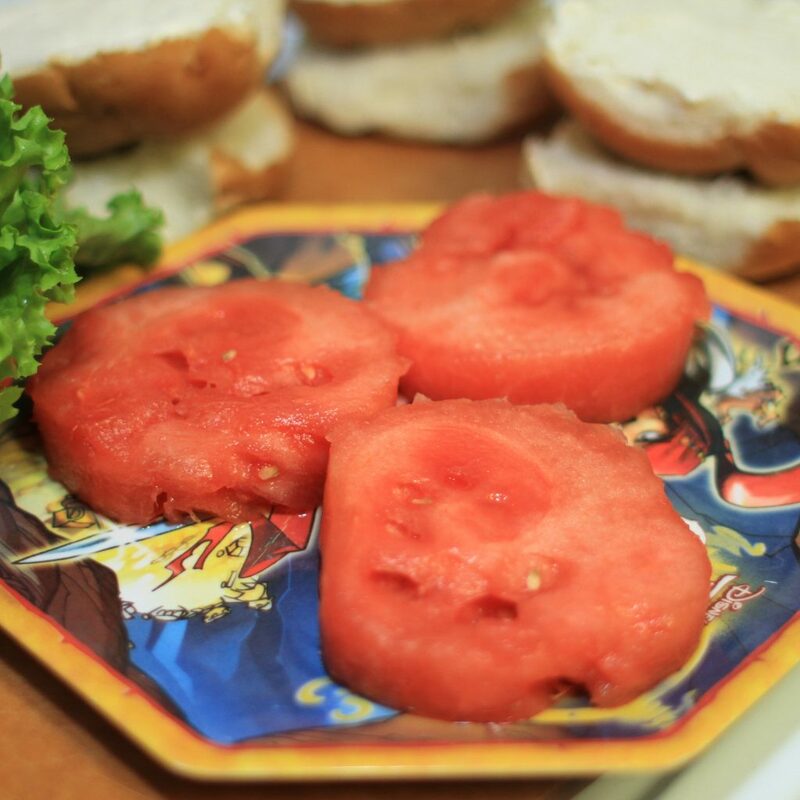 Grilling watermelon completely changes the flavor and texture. Once the sugars caramelize over the flame, the fruit becomes super soft and sweet. It’s hard to compare the concentrated syrupy nectar to any other flavor. That sweetness added a really interesting note of flavor and juiciness to the burger. 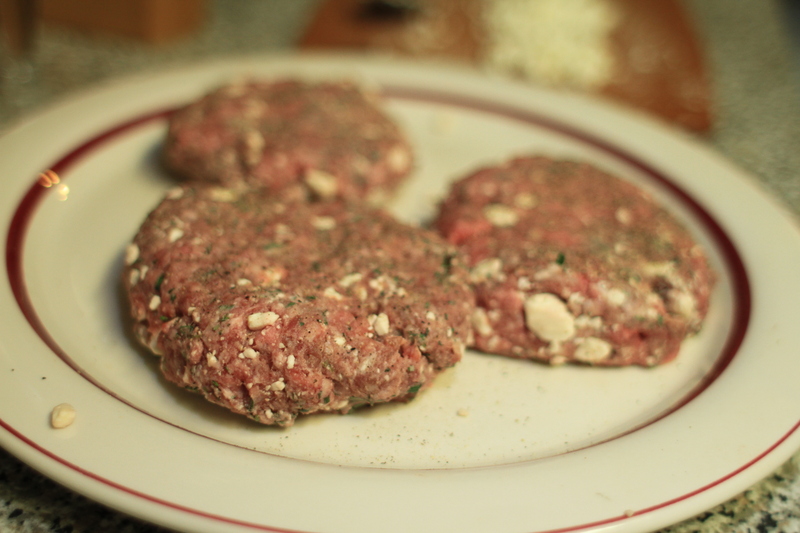 But I have to admit, the real flavor winner on this sunshiny boy was the herb and feta-infused patty. Holy cow, it was packed with bright floral notes of thyme and loaded with creamy feta. It really did taste just like summer. 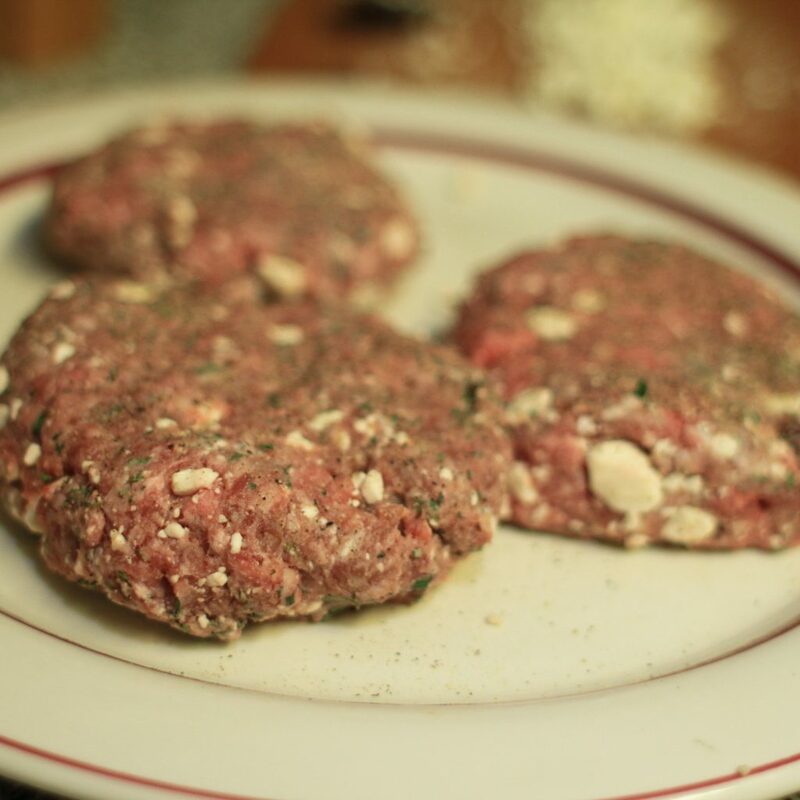 The fam and I agreed that even after this cook-through is done, this burger recipe is sticking with us. No fries this time! I served this with chips and extra (non-grilled) watermelon chunks to brighten the dish and make it feel fresh and crisp on a warm evening. Next up, we’re jumping back in order with the “A Good Manchego is Hard to Find” burger. Look at how good these patties look! Mmm watermelon, ready for the grill.